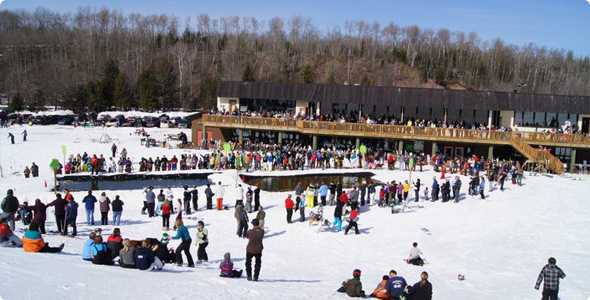 Blackjack Ski Area is located in the western Upper Peninsula of Michigan in what is known by many as ‘Big Snow Country.’ This area boasts over 200″ of annual snowfall and Blackjack is known for some of the most affordable lift ticket prices around the Big Snow Country area. 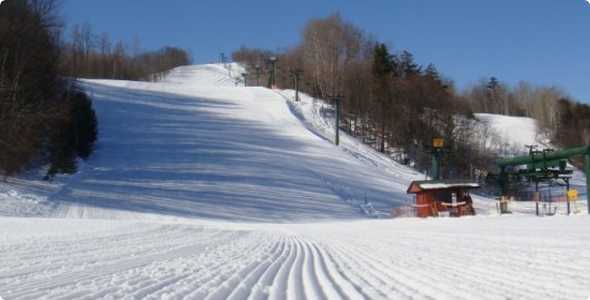 Blackjack offers a nice variety of terrain for skiers and snowboarders of all skill level, with a great mix of trails and terrain park features to keep everyone entertained. Many variations of onsite accommodations are available depending on what you are looking for. From bunkhouses and a traditional lodge, to ski-in, ski-out slopeside units, Blackjack has a number to choose from and nearby hotels/motels keep rates competitive and very reasonable. 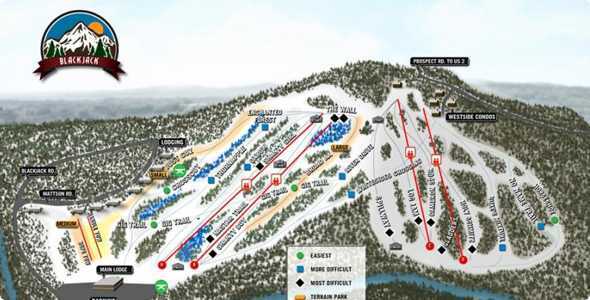 Tons of deals and events take place throughout the season and Blackjack is probably one of the only ski areas we know of that does not increase their lift ticket prices during the Holidays. It’s all about getting out and enjoying the snowsports activities.